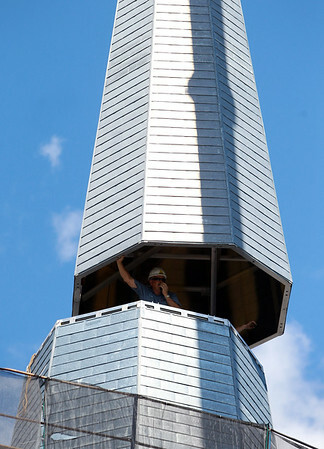 A worker atop St. Michael's Church in Marblehead, helps guide the new steeple into place on Thursday afternoon. DAVID LE/Staff photo. 8/28/14.